I am reading and much enjoying Lynsey Hanley’s book, Respectable, about social class in Britain. 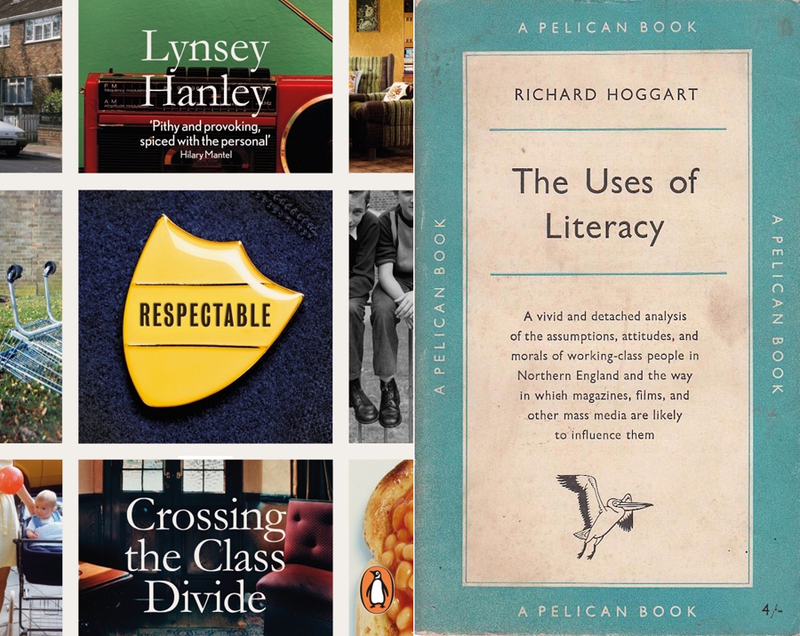 Like her, I read Richard Hoggart’s The Uses of Literacy at quite a young age although with my solidly middle class background I did not feel, as does Hanley, that Hoggart could have been writing about my own childhood. Just how did the quoted matter on the left hand page slip through the proofing process? You would think that anyone with half a book production brain would spot that it is set in Times – especially so when there is quoted matter on the right hand page, set correctly in Bembo. 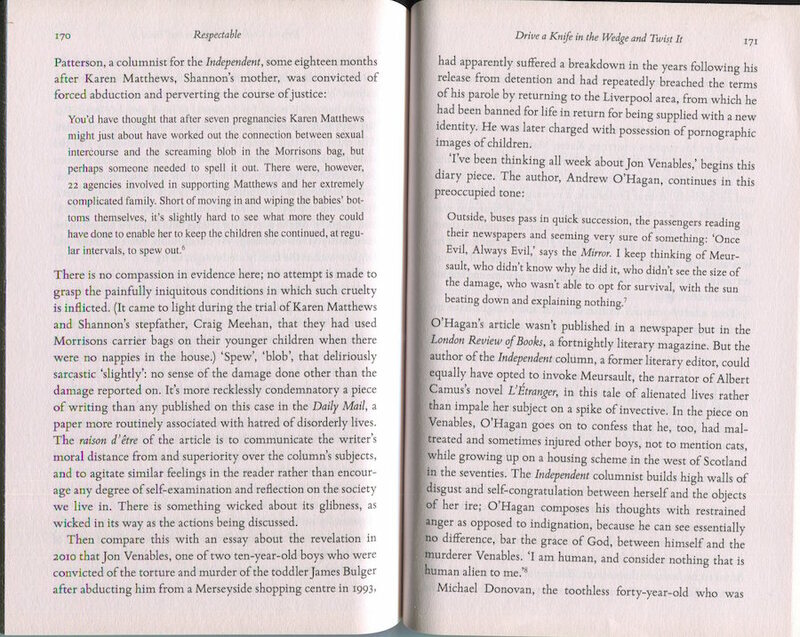 In case you think I’m being unnecessary picky, there are actually several instances of this in the book – I’ve chosen to show the one where there are two pieces of quoted matter on a double page spread. The typography in the book is actually very classical in style and quite nice, and I’m glad to see that Penguin still provides the typeface name on the title page verso. Quite why the book is set in a typesize of 11.76/14.76pt is, however, a bit of a mystery. How would you happen on such an odd size? Mass book production has always depended on fast turnaround but you do expect good practise from the firm whose high standards were set by one of the greatest 20th century typographers. Hans (‘Half-Point’) Schmoller would not have been amused.